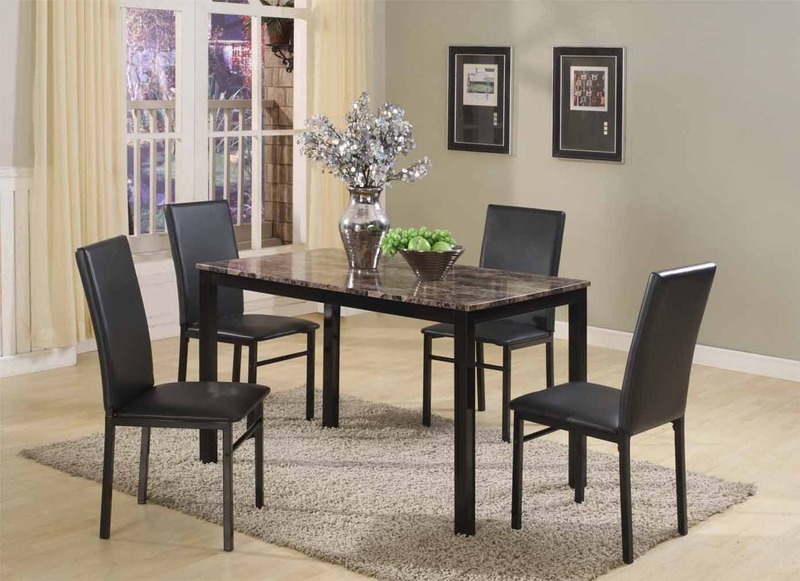 The Luxor offers versatile and stylish solutions for your formal or casual dining space. A unique marble style top lends a distictive air to the entire collection and is repeated on each chair for a polished, well designed look. Table bases crafted from metal feature intricate scroll details, also repeated on the chairs. Finally, a dining collection that is as functional as it is beautiful!Black Rectangular Faux Marble top. Black PU Material on chair.